Come discover our beautiful secluded private ranch on the 1100 Springs. It's perfect for reunions, retreats, or for a vacation getaway. Enjoy the abundant wildlife, mountains, and our private SPRING FED LAKE AND SPRINGS. If you're looking to get away from the crowds and enjoy the countryside, this is the place. 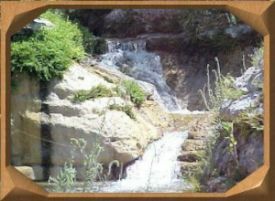 Swim, Fish, Hike or bring your Jeeps and discover the Jeep trails on our 3400 acre ranch. All cabins have central a/c and heat. Satellite TV in every room. Kitchens are furnished with refrigerator, range, microwave, coffee pot, toaster, dishes, pots & pans, and utensils. All linens are provided (pillows, sheets, blankets, and towels). Picnic tables and Barbeque pits. All you need is personal items and food.